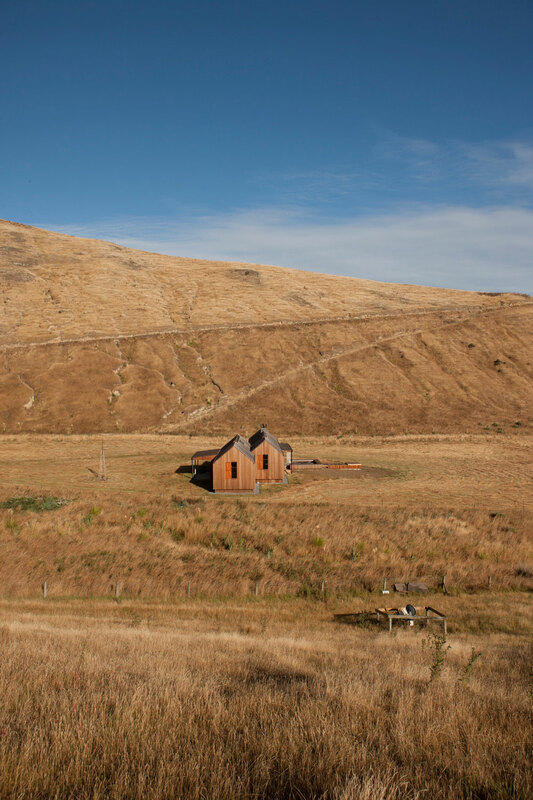 When Annandale, a sheep and cattle station on the coastline near Christchurch, New Zealand, wanted to add an extra experience to the luxurious accommodations it already offered (Annandale is a posh working farm! 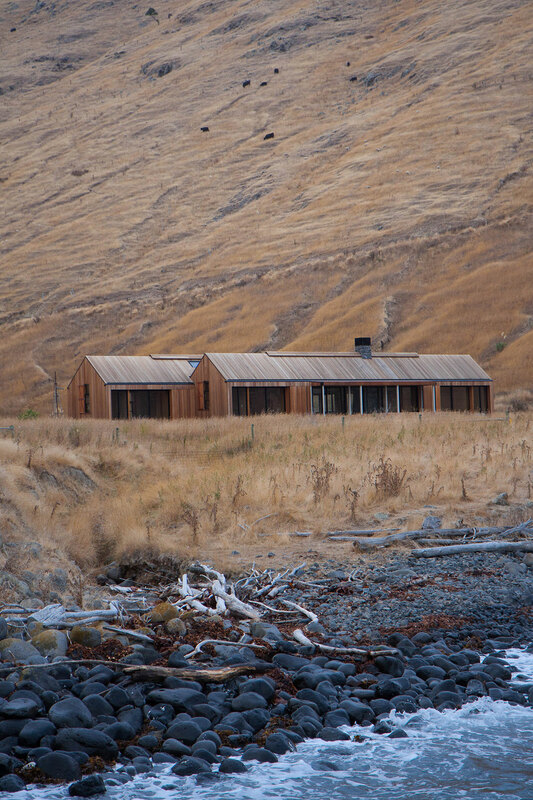 ), the result was Scrubby Bay, the beach house completed in 2013 by Kiwi architect, Andrew Patterson. 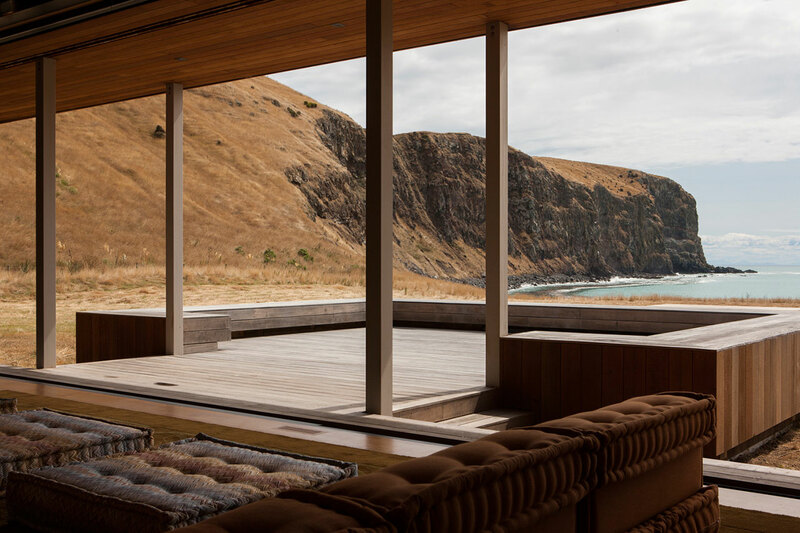 Highlighting the dramatic natural landscape of Annandale's coast, this remarkable beach house is designed to blend in and become one with its striking setting. 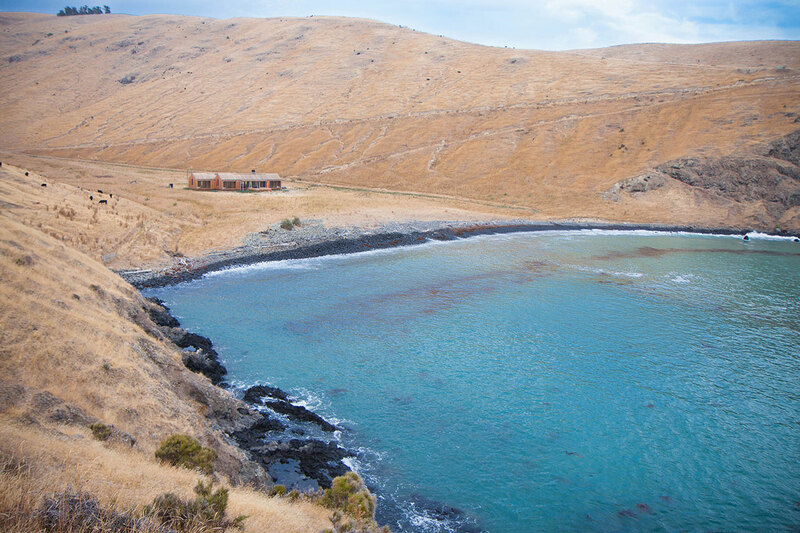 Although Annandale is a working farm, Scrubby Bay is situated on the outermost reaches of the vast property therefore providing its occupants with privacy, yet a plentitude of "real" farm activities close by (if one wishes to partake in them). 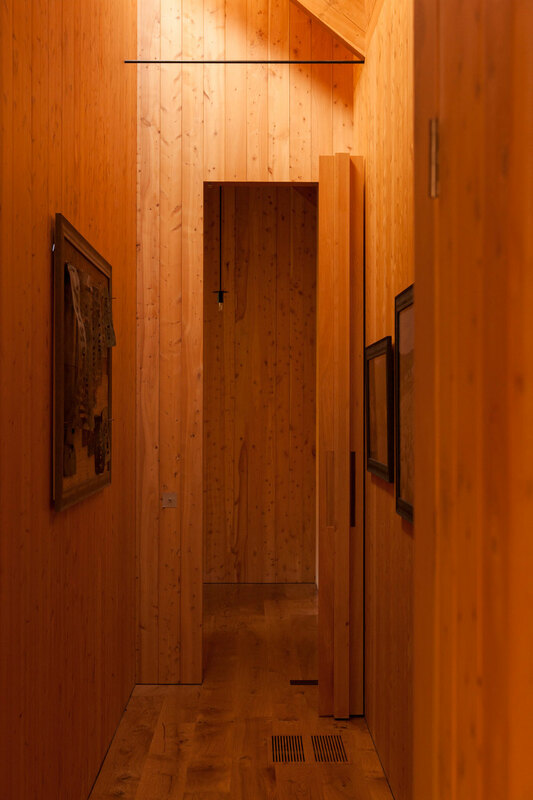 The wooden structure's size and construction prove to be deceptive mirages. To start, at first glance, the building seems much smaller than its 448 sq meters but as one approaches, its massive scale (think 3.4 meter high interior ceilings) comes into focus. 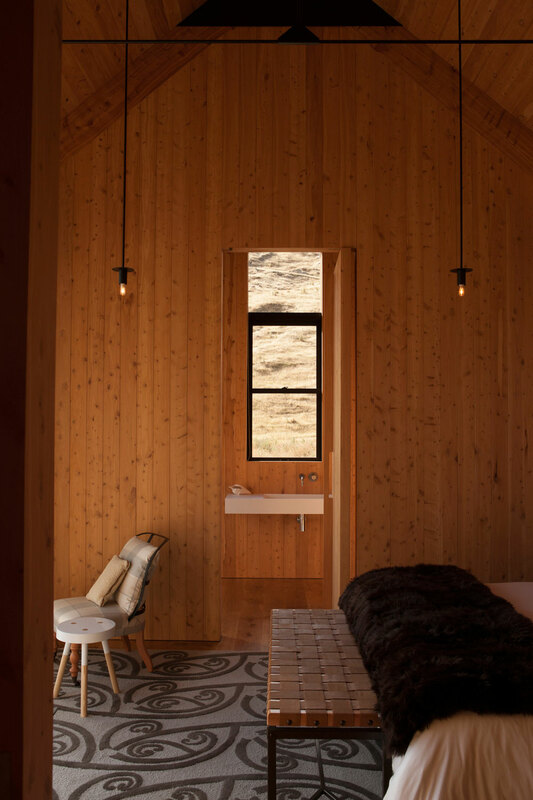 And while it may look like a large beach shack (its inspiration was "a piece of slowly aging farm driftwood"), Scrubby Bay's construction is extremely luxuriously appointed. 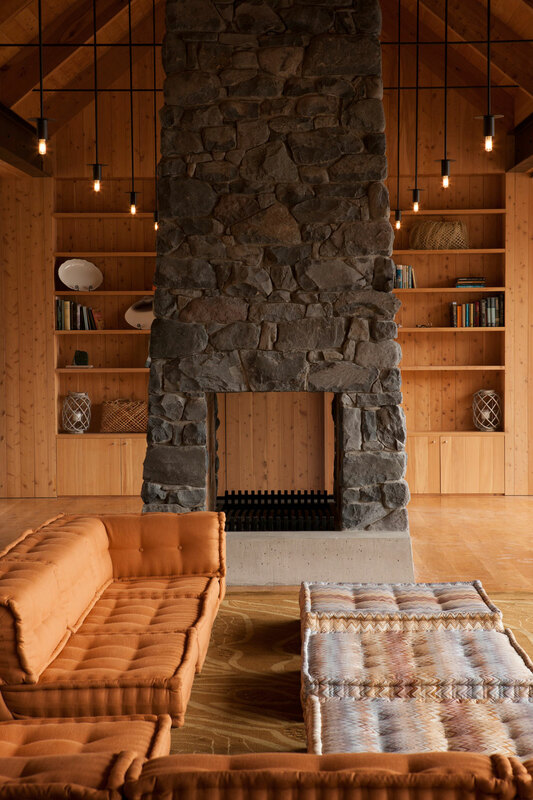 In fact, the entire building has been customized -- from the oak, cedar and macrocarpa exterior and interiors, to the steel black hardware throughout -- and it exudes the careful appreciation to quality that went into its creation. 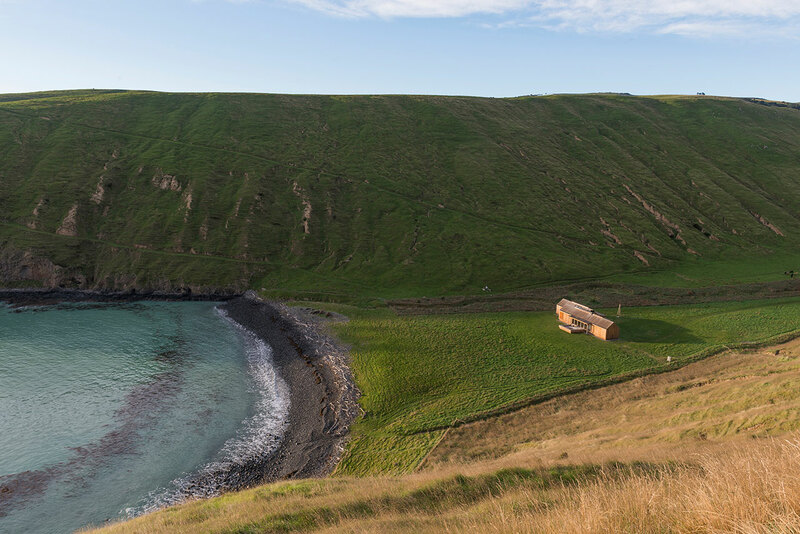 The inspiration for Scrubby Bay was a piece of slowly aging farm driftwood. 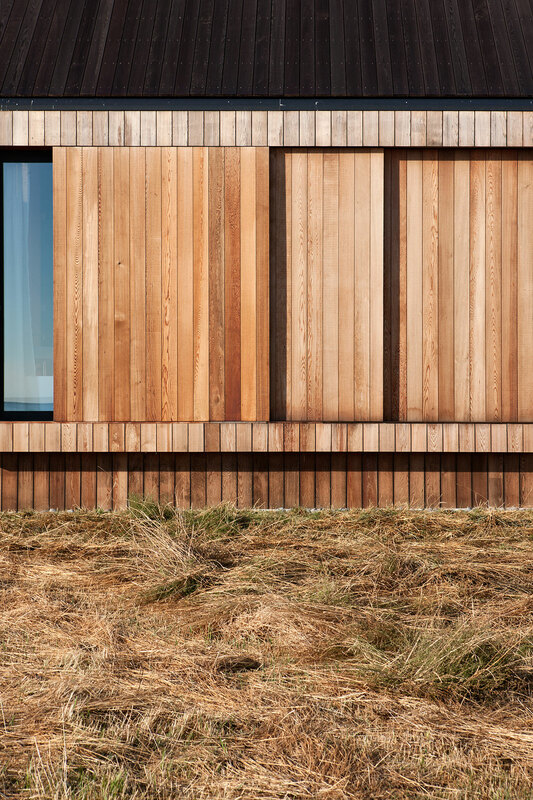 Although it can be completely boarded up when needed, the beach house was designed to merge the indoors with the out, being fully opened on both the seaward as well as the leeward side. Indeed, as you drive up to it, you can actually look clear through the house to the crashing surf on the other side. This was a building designed with the year-round happiness of its inhabitants in mind. Just imagine waking up on a warm summer day and walking outside onto the cedar wood verandah to inhale the salty sea air as the surf crashes mere meters in front of the house… we dare you to not want to grab a surfboard and hit the waves! Or cuddling up in front of the dramatic, ceiling-high, local-stone fireplace in the center of the large, open-plan living area; a good bottle of wine and some of your favorite people are all it takes to make a memorable occasion. 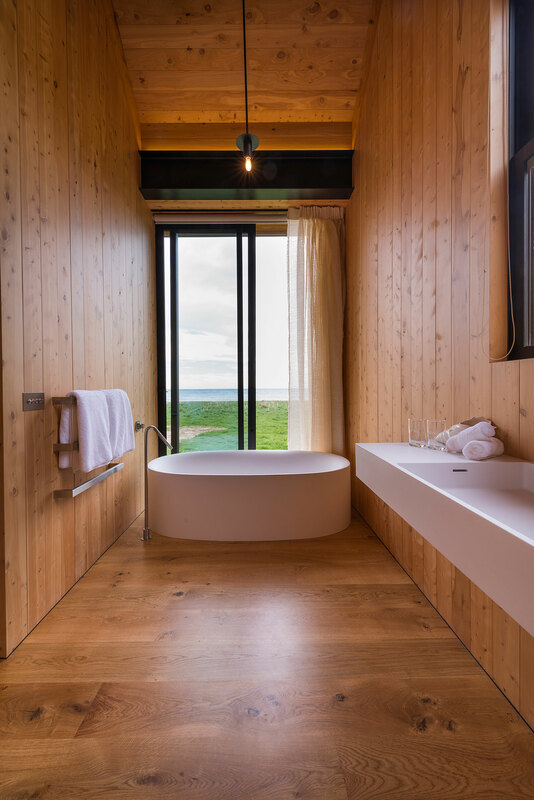 At the end of the day, this is what Scrubby Bay seems to have been created to encourage -- an enveloping escape from the world where good times are spent with the important people in one's life, and where life's simple pleasures are magnified and celebrated. 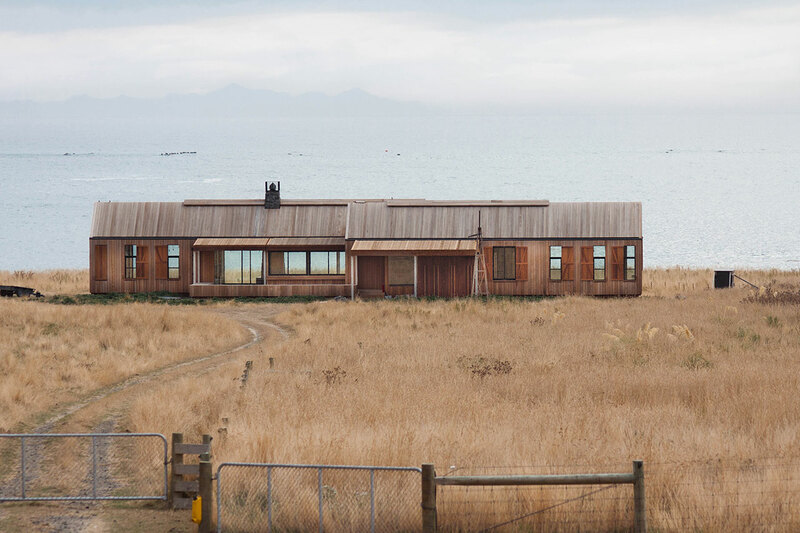 In this case, they just happen to take place in a stunning beach house, in beautiful surroundings, on a working sheep and cattle station.